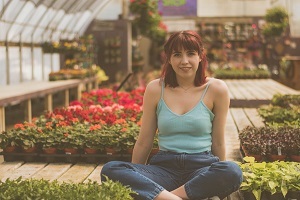 Martha Piccolo is a lifestyle and cooking influencer and the main power behind Drying All Foods – a food blog that is helping people to discover the magnificent side of food drying and preserving. Whether you’re interested in learning about prolonging the shelf life of bananas or your pantry’s just loaded with bananas right now, dehydrating bananas should be something to think about. And you’d be glad to know that there’s more than one way of doing it. Before starting with the process, it’s very important that you preheat your oven. Set the oven to the lowest temperature setting (around 50C to 90C or 125F to 200F). 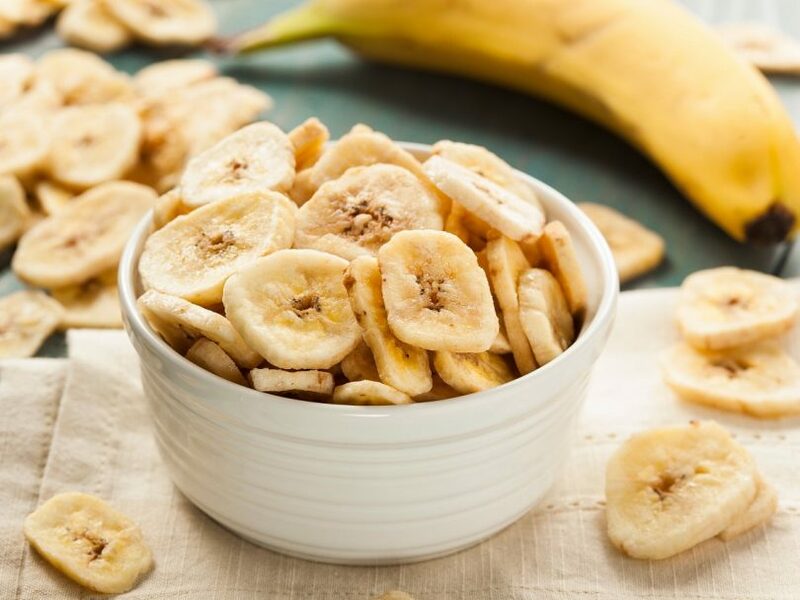 To make banana chips, cut the banana into ¼-inch rounds. However, if you are making wedges, just cut it lengthwise multiple times until the desired thickness is achieved. If you want your chips to be crispier, cutting the banana to 1/8th of an inch would be advisable. This can be done easier with the use of a mandolin. Dipping the cut banana in lemon juice prevents it from turning brown. On a wire rack, place your cut bananas in neat rows. Make sure to put the bananas in single layers and not stacked on one another. The wire rack helps circulate the air inside the oven. If you don’t have a wire rack, you can use a baking tray (with the baking sheet on top). However, this is not that effective in removing moisture from the banana. Put the bananas in the preheated oven. Put a baking sheet under the rack to catch drips. Banana chips take around one to three hours to dehydrate. Wedges would take around 6 to 12 hours. Halfway through the process, make sure to flip the bananas once to ensure that both sides dry evenly. Let the banana cool off to room temperature. Cut the bananas into pieces, roughly 1/4th of an inch or slightly smaller. Larger slices won’t dry enough while smaller slices would easily burn. Coat the top of your microwaveable plate with a generous amount of oil. Then place the bananas on top while making sure that there is ample space between each other. Once ready, place the bananas inside the microwave. Dry it at high for one minute. After a minute, bring out the bananas and turn them over. During this point, you can also add some flavors by sprinkling some salt, nutmeg, or cinnamon. Once all pieces have been turned over, put the plate back and continue with the drying process. Set the microwave to high and allow it to run at 30-second intervals. Check every time to see if the right crispiness has been reached. Compared to those made using other methods, microwave-dehydrated bananas have a rather short shelf life. These only stay fresh for a day. When using a dehydrator, you can make either a chew or a chip. A chew has a more leathery texture as compared to the crispy and crunchy chip. To make a chew, cut the bananas to 1/4th of an inch. Dehydrating bananas using a dehydrator take time so you can opt to dip the cut bananas in lemon juice. Rub or spray a little oil on the rack of your dehydrator. This will prevent the banana slices from sticking to the rack. Place the banana slices on the rack in a single layer. The pieces shouldn’t overlap in any way. Place the rack inside the dehydrator and set the temperature to 135O F (57O C). For chips, it would take a full 24 hours to complete, while 6 to 12 hours is needed for chews. If your dehydrator comes with a setting for dehydrating bananas, use the specified setting. Check back every two to four hours and rotate the rack to ensure even drying. Once the desired consistency has been achieved, let the pieces cool to room temperature. When sun drying bananas, you have to take in consideration the weather for the next seven days. You would need at least two days to dry the bananas (with at least 90O F or 32O C ambient temperature at low humidity). You can choose to buy or make your own outdoor drying screen. Just make sure that the screen you’ll be using for drying is food-grade. Compared to previously discussed methods, you’d be dealing with much lower temperatures, thus a thinner slice is suggested. You can slice the bananas anywhere from 1/8 to ¼ of an inch. To avoid browning, dip the slices in lemon juice. Once again, arrange the pieces in a single layer. Once done, cover the drying frame with an insect-proof net or cheesecloth to keep dust and bugs away from your food. Place the drying frame in an area away from pollution and animals while keeping it in direct sunlight. Some suggestions would be the roof or a concrete driveway. Remember to keep the drying frames indoors during the night and place them back during the day. Remember to turn them over halfway through the process. Continue drying until you complete the seven-day period. However, it would still be best to check daily to see if it’s ready. Before storing dehydrated bananas, make sure that it has cooled off and reached room temperature. Prior to putting them in containers, keep them in a jar (loosely packed) for seven to ten days. During this period, if condensation if observed, the bananas must be dried further. In choosing containers, always go for those that are air-tight. You may also use freezer bags. Remember to keep the containers in a cool and dry place, if a fridge isn’t available. No matter your experience in drying produce, dehydrating bananas won’t be much of a challenge. In fact, if you’re planning to start making your own dried fruits, bananas are an excellent first choice.